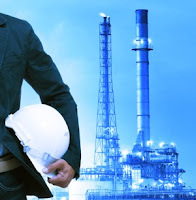 We're building this blog to provide people interested in process control instrumentation, industrial valves, measurement and control a place to learn interesting applications, products, and basic knowledge. The markets we are attempting to connect with are the powergen industry, mining, water and wastewater treatment, agricultural, chemical, food & beverage, pharmaceutical and OEMs. The world of industrial control is changing rapidly in the United States, partially due to rapidly changing technology, or environmental and legislative pressures. We hope to provide helpful information, based on current realities, that will help solve real world process control problems.